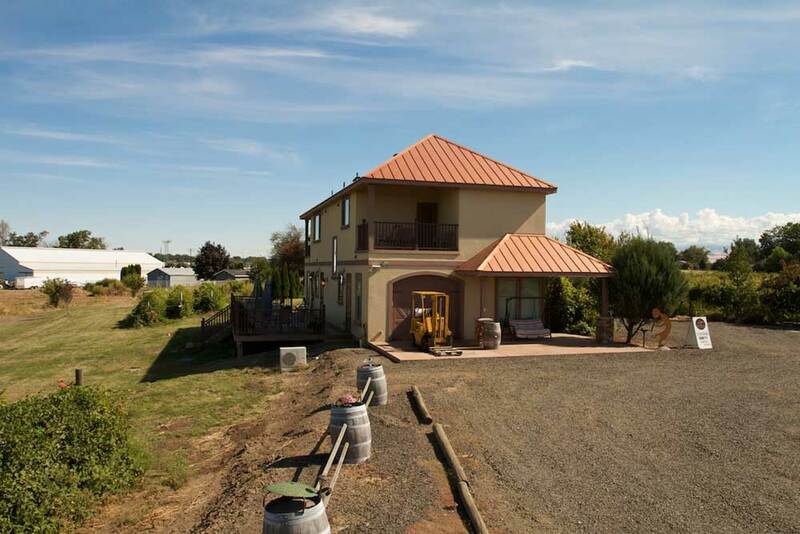 Available now at auction is this wonderful income-producing, operating vineyard and winery on 5.39± acres in the heart of Walla Walla wine country! 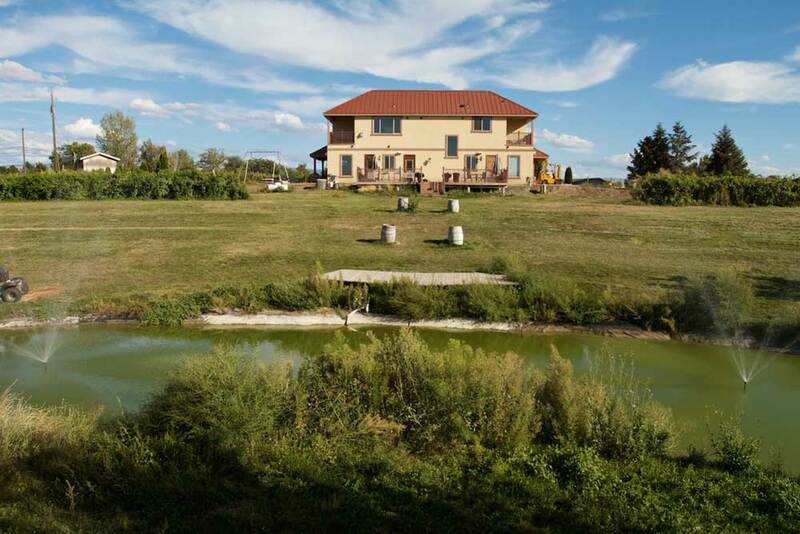 This is an incredible opportunity to own the Sole Rosso Winery. The 3-bedroom, 3-bath, 3,882± square foot property can be lived in as a home or shared with family or guests. 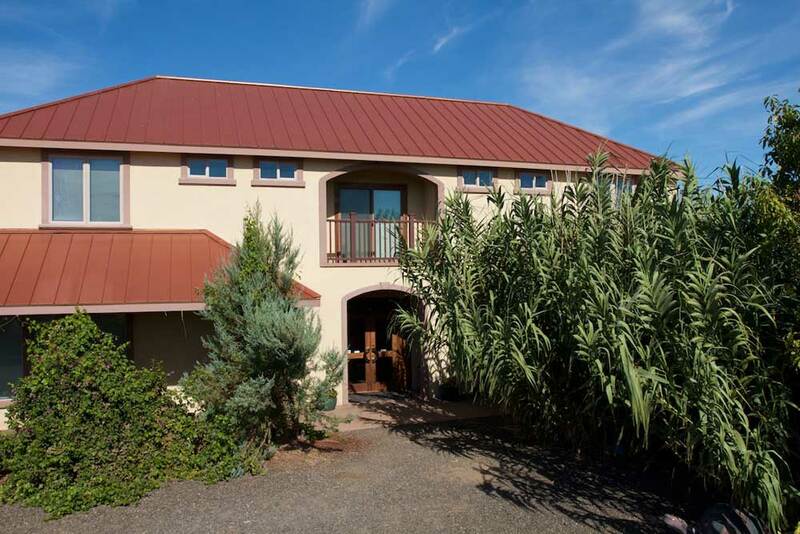 It can produce significant income as a winery, vacation rental or event venue. There are three warmly decorated guest rooms located on the second floor of the winery, with three patios, each looking out over sweeping views of the Blue Mountains. Each guest room has its own bathroom, complete with oversized, two-head shower. 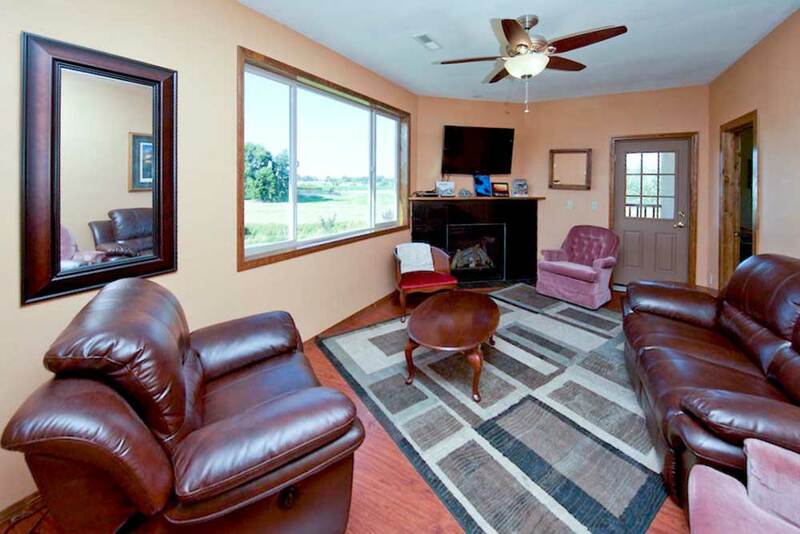 You can enjoy the sitting room around the gas fireplace, share wine on the deck overlooking the amphitheater, enjoy a tasty s’more around the fire, or take a walk around the vineyard. 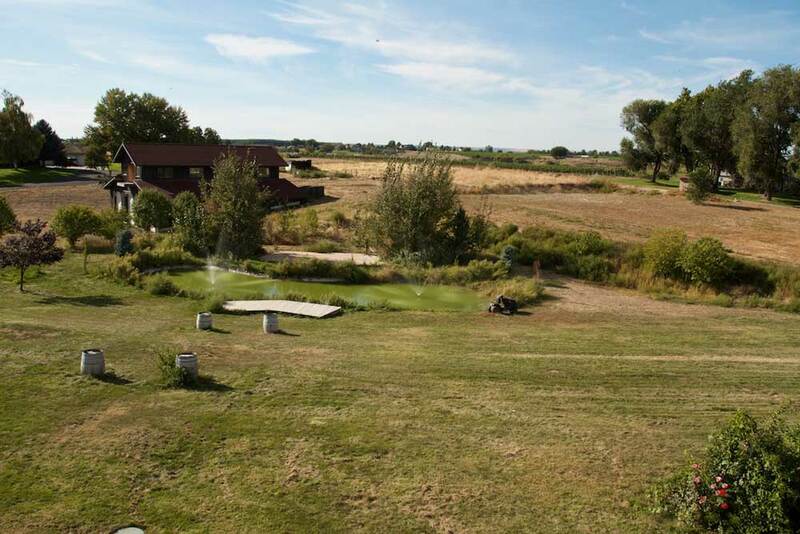 The outdoor amphitheater has a 360-degree view of the Walla Walla Valley and Blue Mountains – perfect for entertaining large groups for weddings, family gatherings and other celebrations! The home is Tuscan villa-style architecture, constructed with 6″ exterior walls and concrete board, with every interior wall insulated. Each bedroom has its own separate heating and cooling controls and en-suite bath. 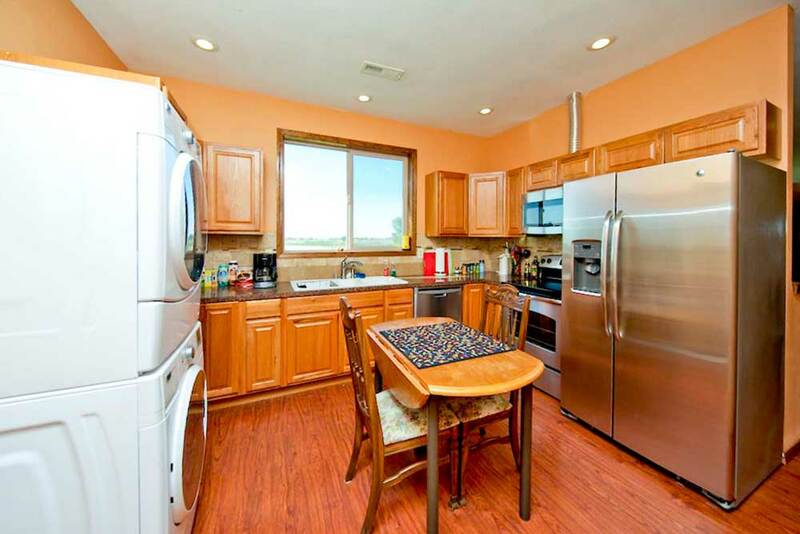 Full kitchen and eating area with a separate living/lounge area upstairs for the rental guests. 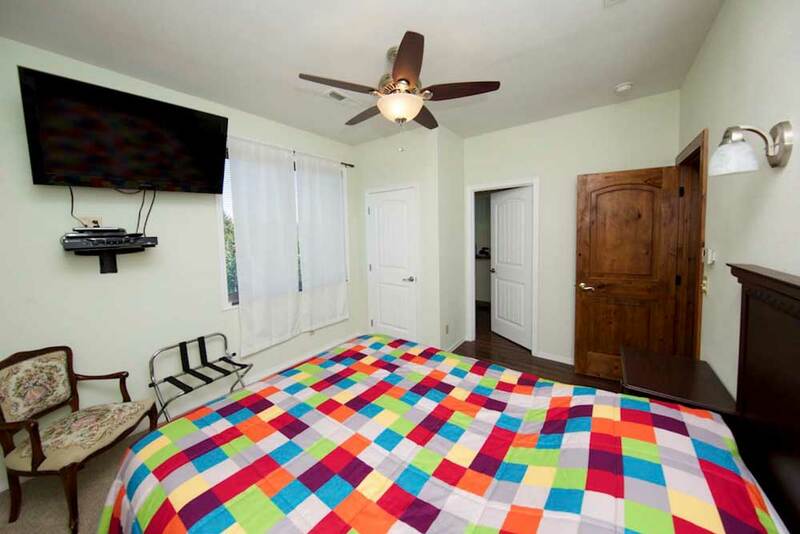 Each bedroom can bring rental rates from $100-$150/night depending on the time of year and local events happening at the time. 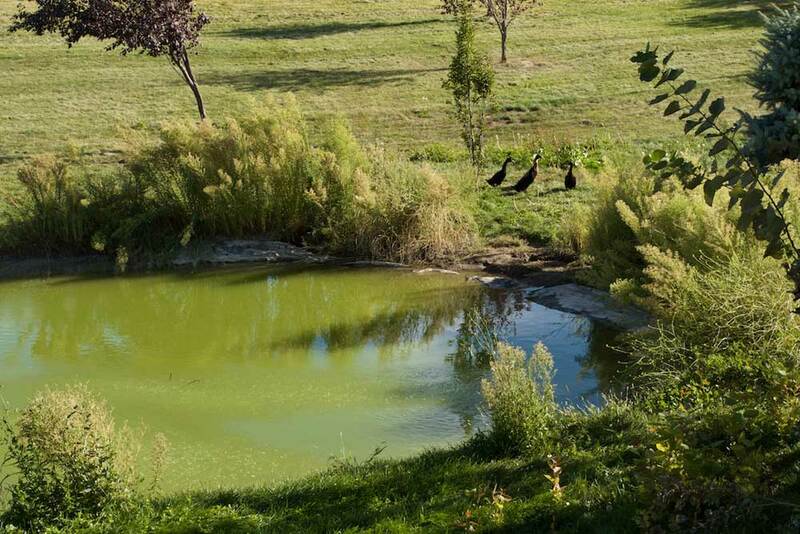 The property also has two septic systems in place, one for winery operation and one for the home. Natural Amphitheater: The large natural amphitheater has been set-up to host special events. 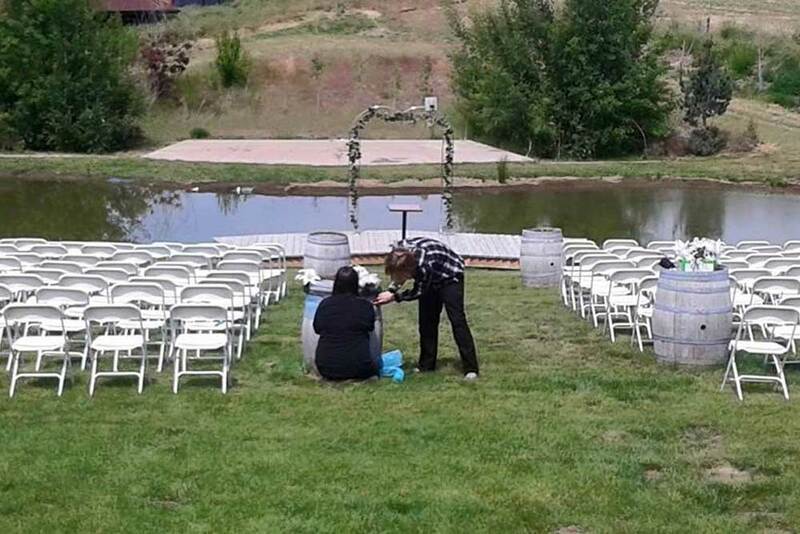 From the large lawn, bordered by Nebbiolo grapes, the pond with fountains at the bottom, the wooden deck on the front of the pond, and the concrete stage located opposite of the pond, it is a natural site for Wedding ceremonies. Reception Area: Right next to the winery, above the amphitheater, is a beautiful, grassy area that is perfect for receptions. 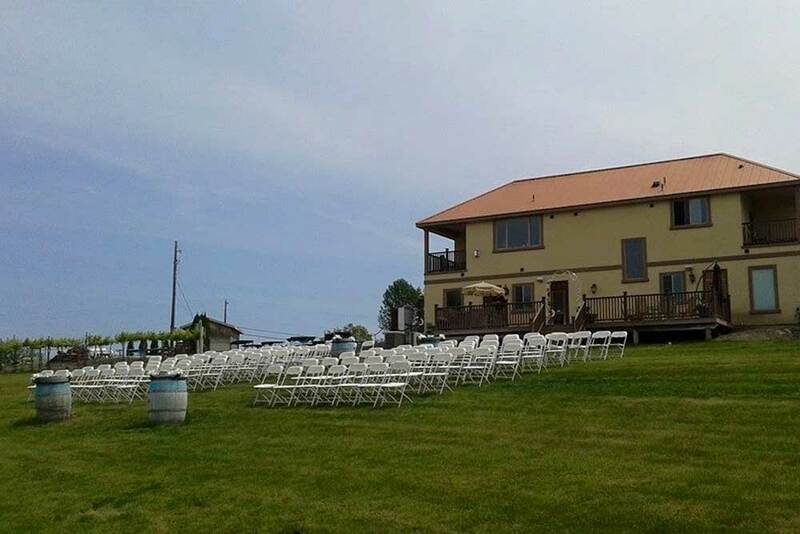 Overlooking the amphitheater, surrounded by vineyard, with a concrete firepit and the house sound system, this area is perfect for your wedding guests. The winery is engineered and approved for 1,000 case production and is permitted for 5,000 gallons of water per day for the winery. The vineyards are made up of four different Italian varieties of grapes (Sangiovese di Montalcino, Nebbiolo, Muscat Giallo, and Anglianico). One variety is very unique and, as far as the current owner knows, there is possibly only one other vineyard in the states that grows that variety. 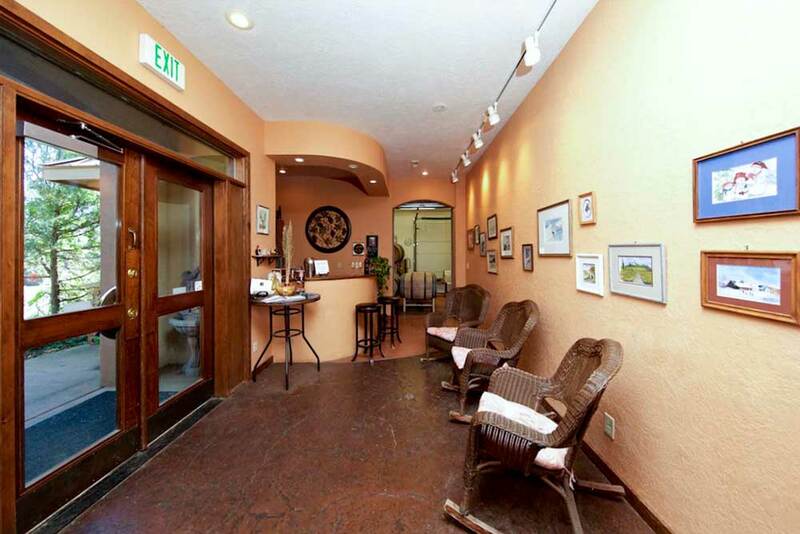 The owner is willing to entertain the possibility of staying on as a manager and/or consultant for the operations. Its name is thought to be derived from “sanguis Jovis” meaning “the blood of Jove (Jupiter).” Its beginnings probably predate Roman times. Sangiovese is one of the two predominant red grapes (the other being Nebbiolo) in Italy, where it is extensively planted, particularly in the central and southern regions. It is believed to have originated in Tuscany, where it dominates today. It is most famous as the main component of the blend Chianti, Carmignano, Vino Nobile di Montepulciano and Morellino di Scansano, although it can also be used to make varietal wines such as Brunello di Montalcino, Rosso di Montalcino or Sangiovese di Romagna, as well as modern “Super Tuscan” wines like Tignanello. A white wine, often made into Asti Spumante, a sparkling white. Its origins are probably Greek and it has been famous since the times of the Romans. The Moscato Giallo (Yellow Muscat) probably arrived in Italy during the Middle Ages, brought by the Venetian merchants. It is a red Italian wine grape, predominately associated with the Piedmont region of Italy. It produces a lightly colored red wine, which can be very tannic in youth with scents of tar and roses. Aged, Nebbiolo reveals other aromas and flavors such as violets, tar, wild herbs, cherries, truffles, tobacco and prunes. It is a black wine grape grown in the Southern regions of Italy. 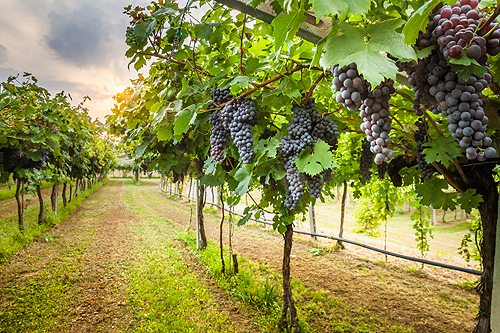 The vine originated in Greece and was brought to Italy by Greek settles over 2,000 years ago. It produces a deep, ruby color wine with fruit and earthy aromas. Powerful and broadly structured with firm tannins and a long finish. 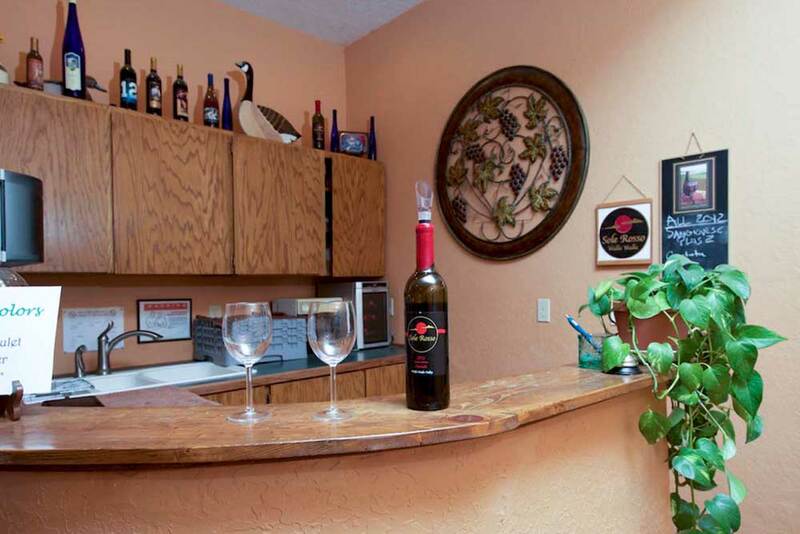 Visit these sites to see the rave reviews the Sole Rosso Winery has received! The Walla Walla Valley is a place where scenic beauty, incredible wineries, enticing restaurants, cultural inspiration, outdoor adventures and small-town friendliness come together to create an experience you’ll want to share again and again. A vibrant reflection of the past and the present, downtown Walla Walla is the place where you begin to discover what makes Walla Walla so unique. A walk down tree-lined streets reveals a funky mix of vintage shops, boutiques, cafes, bookstores, tasting rooms, restaurants and more. 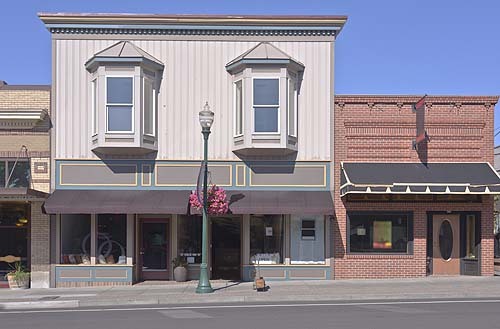 Add in the numerous pieces of public art and special events, like Feast Walla Walla, the seasonal Farmers Market and outdoor concerts, and you start to see why downtown has been recognized time and again as one of the best small town Main Streets in the country. Walla Walla has long been known as one of the most fertile agricultural areas in the nation, producing such crops as wheat, asparagus, strawberries and the famous Walla Walla Sweet Onions. 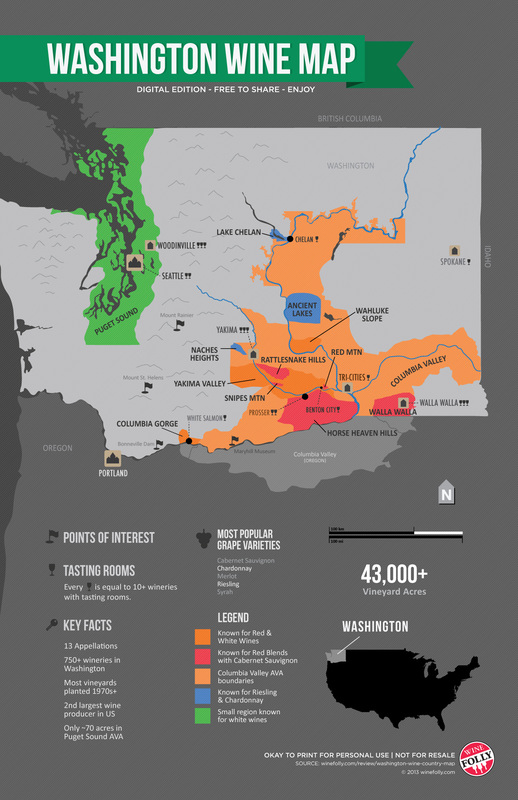 However, it is its wine country that Walla Walla is most celebrated. With more than 120 wineries representing a wide range of varietals, it doesn’t take long to see why people return to Walla Walla again and again. 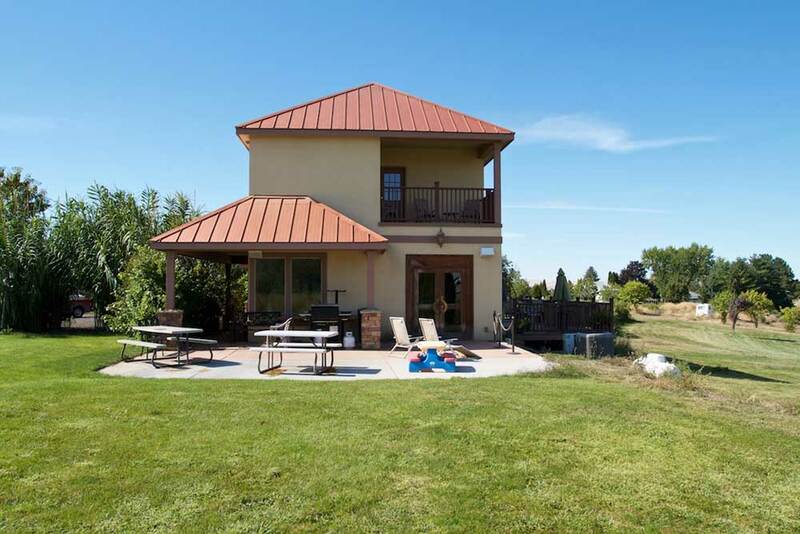 Walla Walla Wine Country offers the rare opportunity to experience not only world-class wines but to meet the winemakers, vintners and family members carrying on the wine tradition. No one is in a rush. Conversation is relaxed. 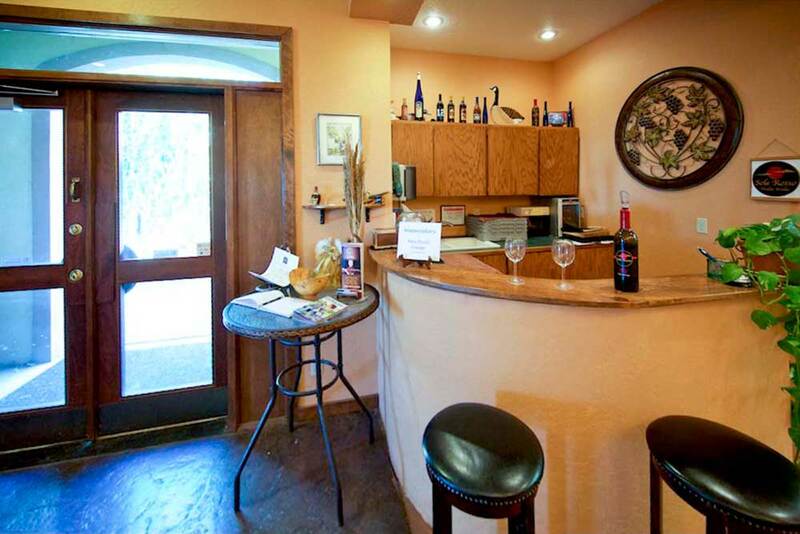 Here, tasting wine becomes an entirely different and wonderful adventure. This information is from WallaWalla.org. To learn more, CLICK HERE. There’s a distinct difference between simply going wine tasting, and actually visiting wine country. When it comes to Washington’s wine country, one destination clearly stands apart from the competition: Walla Walla. A unique combination of climate, character, charm and culture help shape Walla Walla wine country, and result in an experience that is far greater than the sum of its individual parts. From charming tasting rooms to extravagant winemaker dinners, visitors have ample opportunities to immerse themselves in the Walla Walla wine country experience. 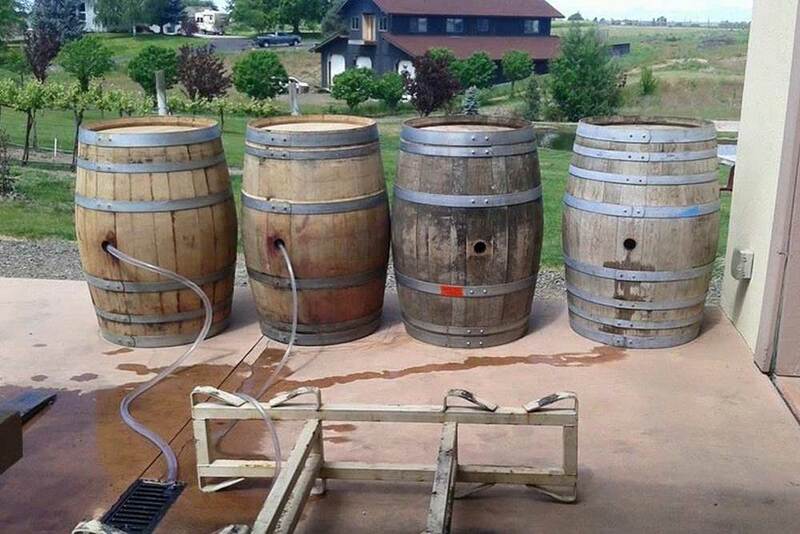 The history of Walla Walla wine country, which many trace commercially to the founding of Leonetti Cellar in 1977, actually dates back to some of the area’s earliest settlers, specifically to the 1840s, when the area’s first grapes were planted by French fur trappers living in nearby Frenchtown. 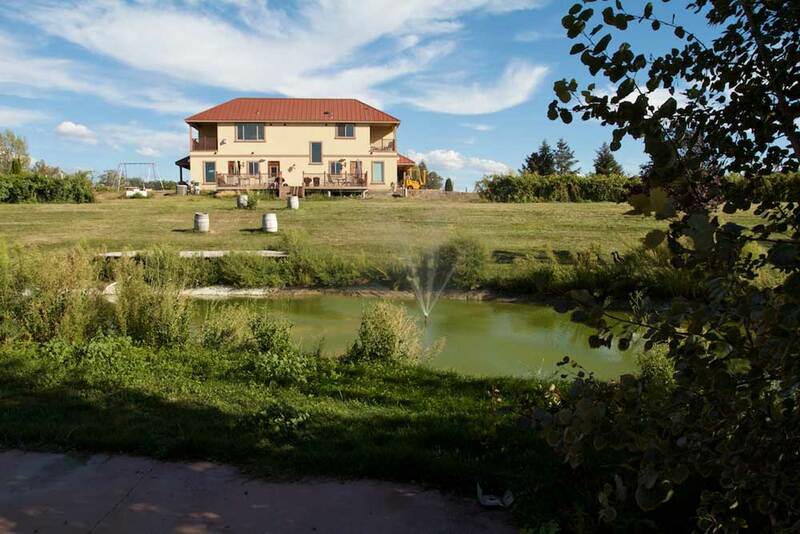 Around the same time, early Italian immigrants brought their winemaking traditions with them to Walla Walla, where they planted wine grapes and began making homemade wine. 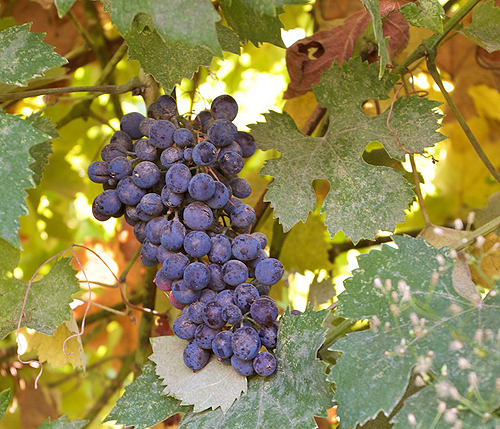 Vines with these origins still exist in the Valley today. 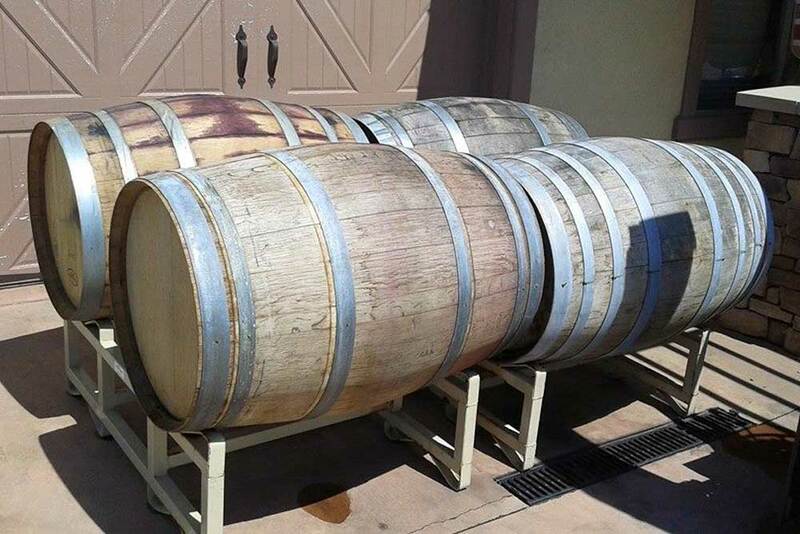 But it wasn’t until the founding of Leonetti Cellar, followed by Woodward Canyon Winery in 1981 and L’Ecole No. 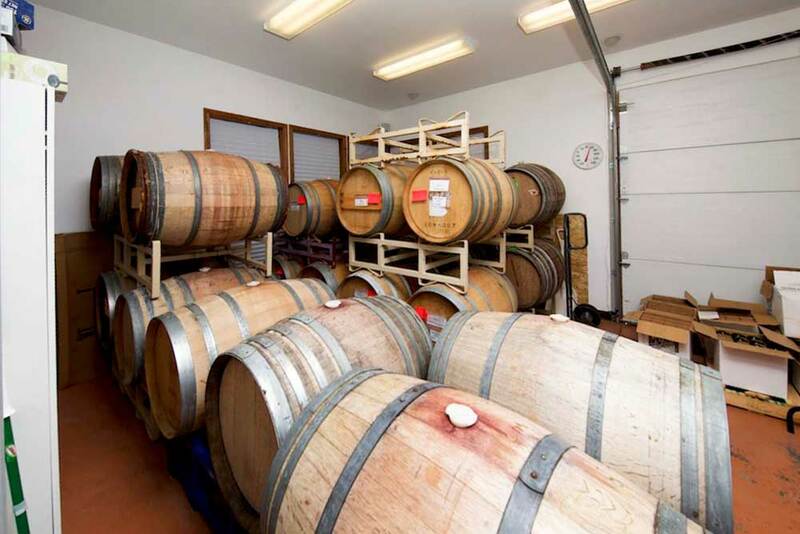 41 in 1983, that the true roots of Walla Walla’s wine country were established. With official recognition by the American Viticultural Association (AVA) in 1984, the Walla Walla Valley AVA was official and the region’s wine country wheels were set in motion. 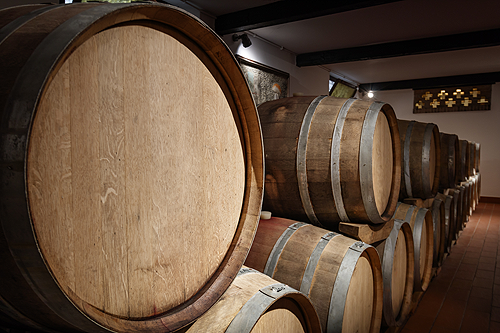 By 1990, the number of wineries had grown to six, and by 2001 there were 30. Today, more than 130 wineries call the Walla Walla Valley home, along with more than 2,800 acres of grapes including the most widely planted varietals of Cabernet Sauvignon, Syrah, and Merlot. The Walla Walla Valley’s climate creates optimal growing conditions, and combined with the fertile soils allow growers to control and manipulate many of the growing conditions. Coincidentally, the valley’s location at latitude 46° straddles the same line that passes between the Burgundy and Bordeaux regions of France, perhaps one of the reasons why Walla Walla’s first wine growers—French fur traders— achieved early success that ultimately led to the valley’s reputation as the unofficial capital of Washington wine country. This information was provided by Visit Walla Walla. Property sold as-is, where-is. Registered agents and referrals welcome. 3% broker participation is paid based on the high bid price. All interested parties must contact Darel Tetz to inspect the property. Property previews tours will be held on September 8 from 1 to 4 PM and September 9 from 10 AM to 2 PM. 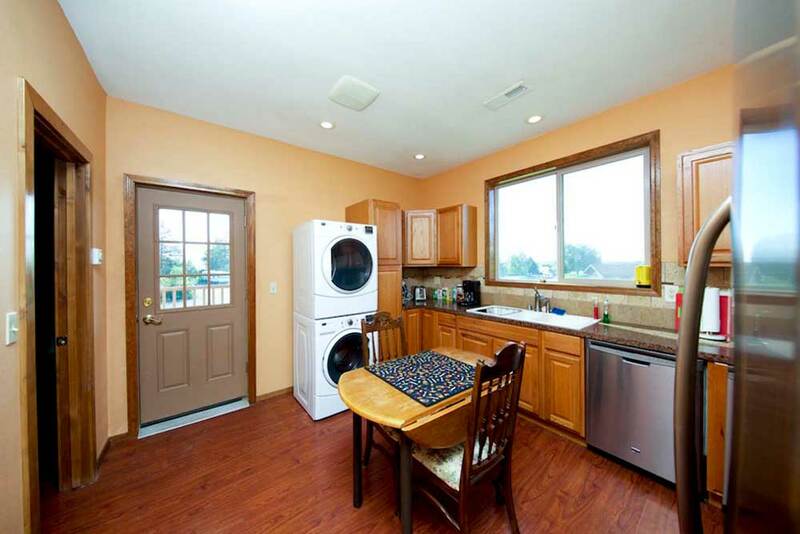 The property may be shown by appointment as well, so contact us to book your tour! To read the entire Terms & Conditions, CLICK HERE.